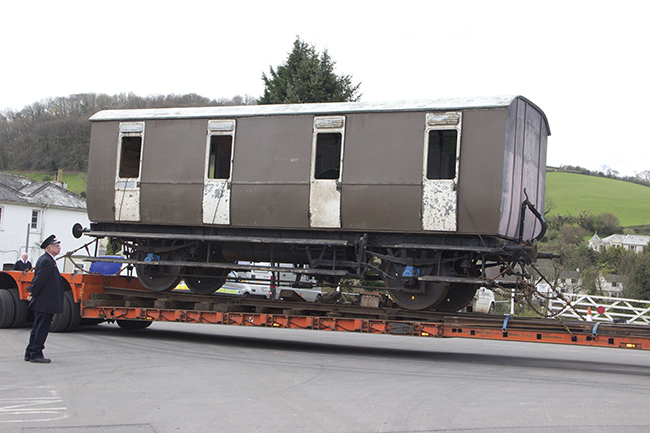 The four-wheel coach W215 “Liza” has left the South Devon Railway for the last time. 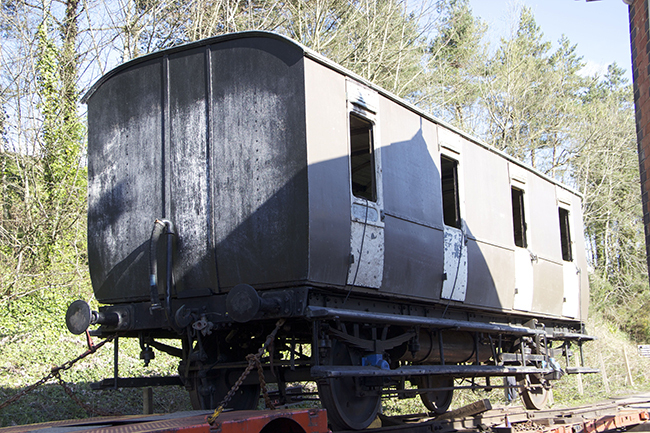 The coach originally arrived on the railway in the late 1960s and was used as a mess van for many years, much of its time being spent at Staverton. In the mid-1980s it was sold to the West Somerset Railway, but returned to the SDR several years ago. 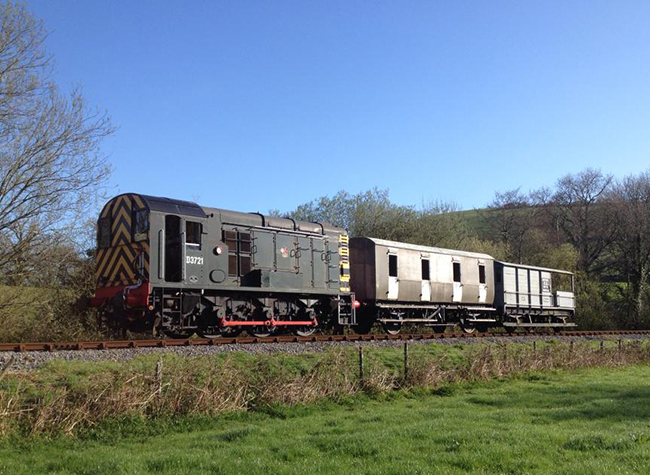 Although considerable restoration work was done on it about 10 years ago it has languished at Totnes since then but has now been sent to the Gwili Railway by the owners, the 813 Fund, where it will get a full restoration. The lower photograph shews Gordon Hall bidding farewell to Liza – he was one of the original Staverton group who spent a lot of time with her.